Another week, another round in the recent debate in the columns of Sri Lanka’s The Island into which I’ve unwittingly been dragged. At any rate, with any luck the barrage of criticism I’ve been receiving in those pages of latre will die down soon. We shall see. For clarity’s sake, beneath my response I’m adding the article to which it was a reply. Vinod Moonesinghe (The Island, 29 Aug 2016) offers a, to say the least, curious take on the continuing debate on Norway’s role in Sri Lanka in these pages. First and foremost, because he deals with anything but the Norwegian peace facilitation effort. What hedoes insteadis to is to lambast several of the people I cited or simply mentioned in my last article, chiefly for their actions everywhere other than in Sri Lanka, and on that basis suggest that readers should able to discern the – presumably pernicious – political interests ‘closest to [my] heart’. Depressingly, in responding to me Moonesinghe resorts to an old propagandistic smear technique. In doing so he offers not a single word of analysis or critical response to the substance of my article, which focuses on Norwegian actions in Sri Lanka. Instead Moonesinghe lines up a supposed rogues gallery of people I have mentioned – people he somewhat bizarrely describes as ‘character witnesses’ for my ‘political view’ – and proceeds to execute a rapid – and error-prone – hachet job on their wider political affiliations and actions, past and present. The people in question are Richard Armitage, Jonathan Powell and David Milliband. With regard to these men’s broader political sympathies I will offer little comment, bar three short observations. First that in dealing with all three, Moonesinghecontinues with his tiresomeresort to smear by association. Thus for example Richard Armitage is criticized for his association with the International Crisis Group – surely one of the most widely respected global think tanks around – as an organizationthat includes among its past advisers former Israeli Prime Minister Shimon Peres. In Moonesinghe’s worldview, moreover, Peres becomes a ‘Zionist ethnic cleanser’ – a truly ugly description that sits uncomfortably close to repellent, anti-Semitic slander. Second, the account of David Milliband’s past actions is marred by a simpleerror. Moonesinghe writes of David Milliband’s brother and former Labour Party leader Edward Milliband: not the Labour Foreign Secretary at the time of the Sri Lankan war’s final stages in 2009: asilly and easily avoidable mistake. Third, and most absurdly of all, Moonesinghe takes one descriptive phrase from a quotation I offer from Jonathan Powell’s book Talking To Terrorists as supposedly clear evidence of whose political interests are ‘closest to [my] heart ‘. As well as being insulting, this is both totally inaccurate and(again) a case of smear by highly convoluted association. So much for the guilt by association sleight of hand. 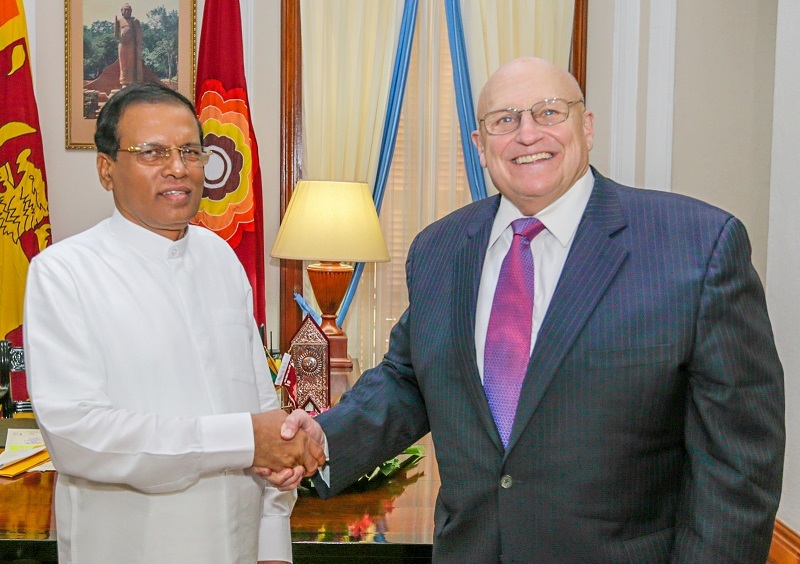 What of the substance of my argument concerning Oslo’s actions in Sri Lanka? Here I have nothing to add because to repeat, amazingly there is simply nothing on the subject inMoonesinghe’s article. I welcome the opportunity to discussand re-evaluate Norway’s role in the Sri Lankan conflict currently provided by the opinion pages of The Island. I hope, however, that future contributions will demonstrate a greater willingness to stay ‘on message’ regarding the subject in focus – and avoid simply seeking to shoot the messenger in the process. Here’s the article to which I was responding above. (a) Former US deputy secretary of state Richard Armitage: this Cold Warrior was allegedly involved in the Phoenix programme of murdering opponents of the USA in Vietnam, during the war on that country. He was later allegedly implicated in the Iran-Contra arms and drugs scandal. He was later associated with the right-wing think-tank, the Project for a New American Century (PNAC) centred on Donal Rumsfeld and responsible for plotting many of George W Bush’s neo-colonialist adventures, including the illegal invasion and conquest of Iraq. He has been on the board of CACI, a defence contractor implicated in the Abu Ghraib torture scandal. He was associated with the International Crisis Group, founded by fellow PNAC members Morton I Abramowitz and Stephen Solarz, one of the prime movers in the campaign against Sri Lanka, which had as its adviser the Zionist ethnic cleanser Shimon Peres. (b) Tony Blair’s ex Chief of Staff and author of Talking To Terrorists, Jonathan Powell: a pillar of the British political establishment, he was one of the closest advisers to Tony Blair, the British half of the criminal invasion of Iraq. He was the only senior adviser to last through the Blair era. He was a member of the shadowy British American project for the Successor Generation, the right-wing think-tank founded by Ronald Reagan and Rupert Murdoch, and funded by far-right oil tycoon Howard Pew. (c) David Miliband. The former Labour Party leader was an adviser to Tony Blair and voted in favour of the illegal invasion and conquest of Iraq. He was accused of having “fought tooth and nail” to thwart the release of documents relating to Benyam Mohammed, a detainee at the USA’s notorious Camp X Ray torture base at Guantanamo. Apart from quoting such pristine paragons of human rights, Salter makes a slip which reveals his fundamental bias. He quotes Jonathan Powell as referring to the PLO as a “terrorist organisation”, and, while he says that Taliban could be added to that number, he does not mention the terrorist apartheid state of Israel. The PLO, as the ruling party of the independent and sovereign state of Palestine, is a legitimate political organisation much respected by the people of Sri Lanka. I think the readers will be capable of evaluating precisely whose interests are closest to Salter’s heart.